The success of the most important event for India’s beverage industry remains unchecked: The trade fair alliance consisting of drink technology India (dti), organized by Messe München, and indiapack pacprocess and food pex India, organized by Messe Düsseldorf, recorded higher numbers of exhibitors and occupied more exhibition space. The number of visitors remained at a very high level as well. The fair’s further growth reflects the dynamic development of the Indian beverage and liquid food market, in which high growth rates are again forecast to climb. Richard Clemens, Managing Director of the VDMA Food Processing and Packaging Machinery Association, also described dti as an important driving force for the industry: “For companies that produce machines to make, process and package beverages and liquid-food products, India is one of the major sales markets in Asia.” The outlook for the market is consistently positive. In the process, the important role played by dti will continue to grow. dti’s supporting program was highly popular among visitors and very well attended on all three days. Day two of the Round Table Talks revolved around beer, wine and spirits. According to the VDMA, India ranks ninth among the top ten sales countries for alcoholic drinks. Beer is the top-selling alcoholic beverage in India. The experts generally agree that demand for high-quality beers and for wine and spirits will grow as the population’s income rises. Visitors were able to try Indian beer variations at the new place2beer. The focus at the platform was not only on beer tastings, but above all on networking and sharing knowledge among representatives from microbreweries, medium-sized and industrial breweries, and brewing suppliers. In the Craft Beer Seminars, experts from the scene demonstrated what impact microbreweries are having on beer brewing and what trends are influencing the craft beer sector. Bruno Bonacchelli, brew master at Castle Malting Belgium and one of the speakers at the seminar, was enthusiastic: “I’m impressed by the high technical standards in the Indian craft beer market and about how quickly the latest methods and technologies are adapted.” Further talks were given by representatives from Brewbot Mumbai, Gateway Brewing Mumbai and White Owl. The focus of the buyer-seller meetings was networking and initiation of new business relationships. About 430 discussions between exhibitors and potential customers were held, a clear indication of the concept’s popularity. The customers who made a special point of attending the trade fair to create new business relationships with exhibitors included Bohemian Beer, Good Drop Wine Cellars, Hindustan Coca Cola, Jyanti Beverages and Parle Agro. Two new additions to the supporting program of dti in Mumbai were the seminar of the Oil Technologists’ Association of India (OTAI) and the seminar of the Food Safety and Standards Authority of India (FSSAI). The OTAI Seminar addressed the growing importance of oils and fats in the Indian market and in particular challenges in packaging edible oils. The FSSAI Seminar provided insights into the regulations on and regulatory framework for beverages in India. All items on the supporting program went down very well with visitors. The seats at the forum were always full. With the supporting program, dti once again proves that it gives key boosts and stimuli to the beverage and liquid food industry in India. drink technology India is staged in conjunction with indiapack pacprocess and food pex India of Messe Düsseldorf. 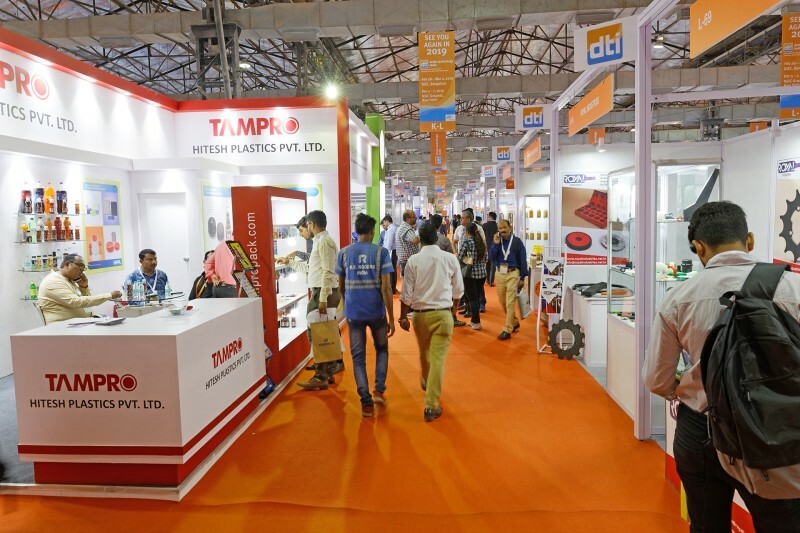 This combination of four trade fairs covers the topics of drink technology, dairy and liquid food together with those of the related packaging industry (drink technology India), packaging and related processes (pacprocess India), packaging materials and aids as well as machines and technology for the production of packaging materials and aids (indiapack) and also food and confectionery processing and packaging (food pex India) all under one roof and is unrivaled in the region. The next dti in Mumbai will be held from December 9 to 11, 2020. In 2019, dti will be held in Bengaluru for the first time. It is scheduled for February 28 to March 2. As part of the trade fair alliance, the event will also be held next year once again—from December 5 to 7 in New Delhi.